The luxury development with 220 condos and a large park is under construction at Scottsdale Road and Kierland Boulevard. A new luxury condominium development with floor-to-ceiling glass windows is going up on a prime corner in Scottsdale’s popular Kierland area. Optima Kierland will have 12 stories, 220 condos and a large park. The project is under construction on almost 10 acres at Scottsdale Road and Kierland Boulevard. Anyone who follows metro Phoenix’s high-end condo market will recognize the name Optima. Developers and architects David Hovey Sr. and David Hovey Jr. have built highly-acclaimed Optima condo projects near the Arizona Biltmore and Scottsdale Waterfront. A 16,000-square-foot, glass-walled fitness center, complete with an indoor basketball court and golf simulator, is part of the development. Optima Kierland is going up where a large Robb & Stucky furniture store once stood. It closed in 2011. A big hole has been dug on the site for the condo project’s two-stories of underground parking. The condos will have from one to five bedrooms. Prices are still being set. The building will only take about half the land. The rest of the site will be turned into an urban garden. 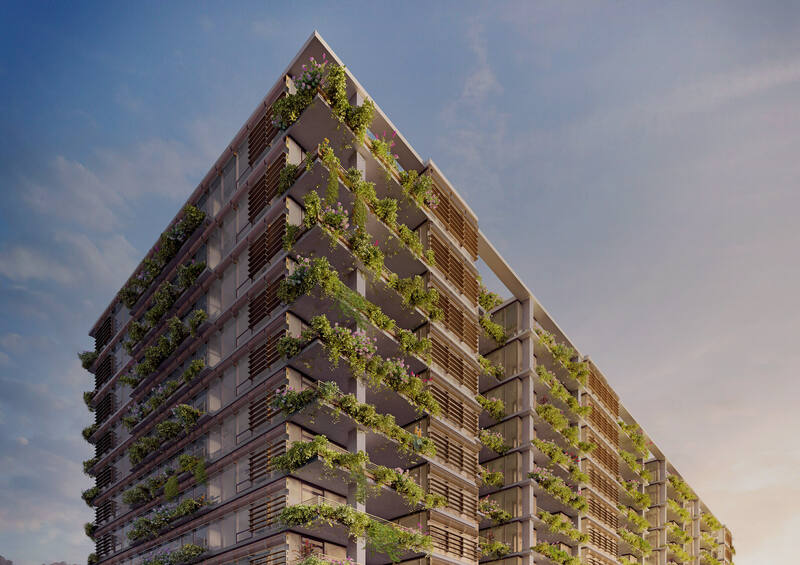 “The idea is to get rid of concrete, blacktop and cars and create a park in the middle of this fairly dense area,” said Hovey Sr.
Optima condos are known for their rooftop gardens and vertical landscaping with plants growing from terraces and scaling the outside of the building. The developer also has designed luxury homes in north Scottsdale and several projects in Chicago. Kierland is the pilot project for the City of Phoenixʼs new International Green Construction Code.